When most people contemplate vacationing in Europe, what do you think are the cities they want to visit? London? Paris? Rome? What about Innsbruck? 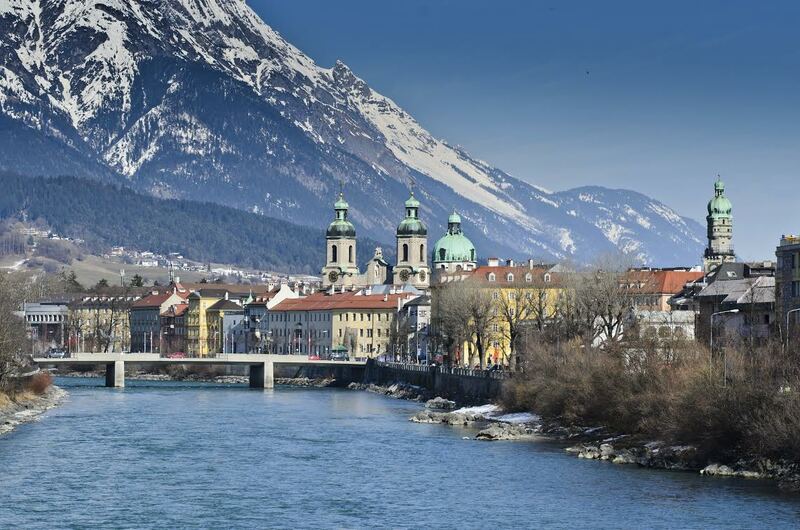 While not nearly as well-known as the first few cities we mentioned, Innsbruck is a must-see. This Austrian city, where urban meets the outdoors, truly has something for everyone. The provincial capital of Tyrol, Innsbruck is the fifth largest city in Austria and has twice hosted the Winter Olympics (1964 and 1976) as well as the 1984 and 1988 Winter Paralympics. Innsbruck also hosted the first Winter Youth Olympics in 2012. Did we mention that Innsbruck is also home to the “largest ski resort in the alps?” Wow! But the city has much more to offer than just alpine sports fun. You can browse Old Master paintings in Habsburg palaces, visit the city’s many brewpubs, take in the beautiful architecture (churches and cathedrals, castles and palaces, medieval buildings, and more), explore the city’s museums, or simply relax and enjoy the view. There is nothing like it! Located in Innsbruck’s charming Old Town, the Goldenes Dachl (Golden Roof) is the city’s most characteristic landmark and popular tourist attraction. Built by Archduke Friedrich IV in the early 15th century as the residence of the Tirolean sovereigns, the Goldenes Dachl is a classic Austrian hybrid of Gothic and Baroque architectural styling. The Goldenes Dachl, which is capped with 2,657 gold-plated copper tiles, is a three-story balcony on the central plaza at the heart of the Old Town. Want to visit Innsbruck and see the Goldenes Dachl? AESU can help! If you now have your heart set on visiting Innsbruck (and who could blame you? ), our Euro Spree tour is for you. This 14 day, action-packed European excursion highlights the best of Europe, from the snow-capped Alps and medieval castles to Rome, Paris, and even Innsbruck. Enjoy two unforgettable weeks exploring eight great countries. Our 2015 dates are available! Book now and save up to $300! If you have any questions about Innsbruck or any of our Affordable European Vacations, please contact AESU by calling 800-638-7640 or fill out the contact form found on our website. And don’t forget to check out all of our great Travel Tips, especially the Travel Tips for Europe, before you head overseas. This entry was posted on Thursday, July 31st, 2014	at 2:17 pm	. You can follow any responses to this entry through the RSS 2.0	feed. Both comments and pings are currently closed.